Carton House Golf Club is a Parkland course located 14 miles west of Dublin City Centre beside the university town of Maynooth. 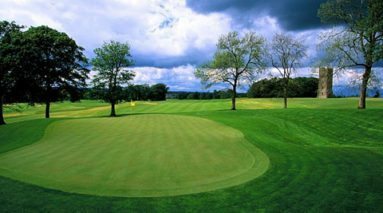 The golfing resort has two testing championship courses, The Montgomerie and the O’Meara. 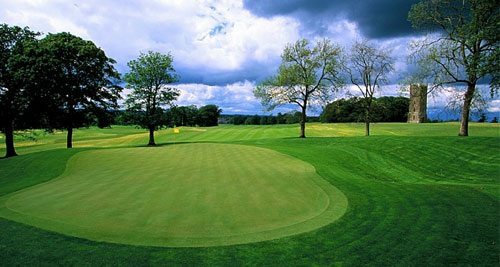 The Montgomerie Course, designed by Ryder Cup captain, Colin Montgomerie is characterised by its plentiful bunkers and pristine greens. This allows it to place the maximum level of challenge for a golfer, especially when paired with strong winds. The O’Meara Course is the older of the two courses with many ancient trees, the river Rye and several risk holes to challenge your game. 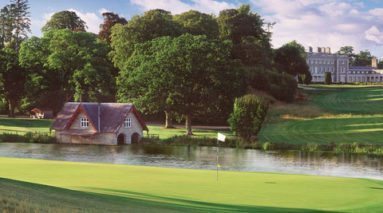 There are almost as many bunkers as on the Montgomerie course, though shallower and more amenable to playing to the pin. Both courses are kept to a very high standard year-round and offer excellent value for money. 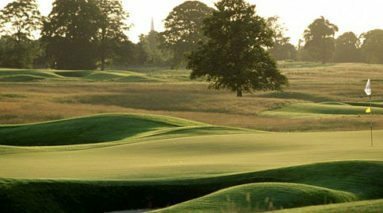 Carton House is also home to the Golfing Union Of Ireland and National Golf Academy, with tour pro’s such as Shane Lowry and Rory Mcilroy often spotted practising on-site. Dublin City Centre: 4* O’Callaghan Davenport; 4* O’Callaghan Alexander; 3* O’Callaghan Monte Clare; 4* Clarence Hotel. 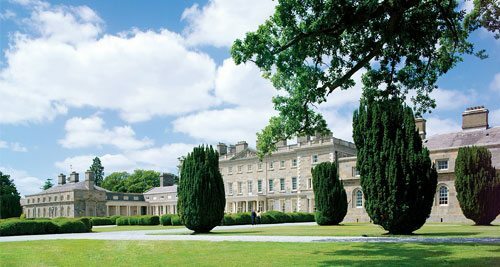 Carton House is located in Co. Kildare, around 30 minutes east of Dublin city centre. The Resort is just off the main Dublin – Galway Motorway, M4, meaning you have quick access to the city centre and its many attractions, such as the Guinness Storehouse, Kilmainham Gaol, Dublin Zoo or the National Aquatic Centre. 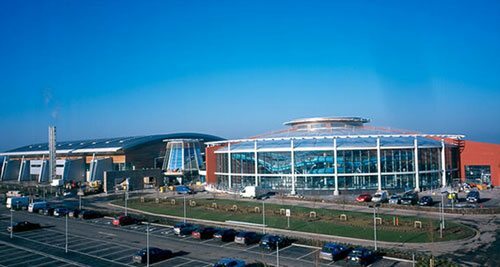 Pictured is the National Aquatic Centre, one of the largest indoor centres in the world & Ireland’s premier facility for all swimming activities. The venue has hosted internationally recognised events such as the Special Olympics and the European Short Course swimming championship. It also acted as a base for as many as 16 nations before the London Olympics in 2012. A wide range of Leisure facilities and recreational activities are also on offer for visitors.